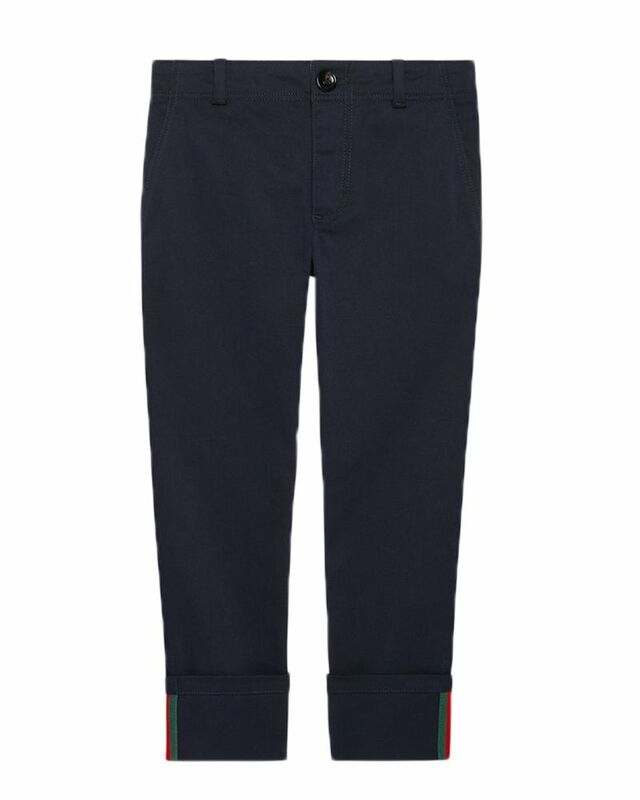 Gucci organic stretch navy cotton pants with green & red web trim at ankle. 100% Cotton. Made in Italy.